There are 47 percent of the people who will vote for the president no matter what. All right, there are 47 percent who are with him, who are dependent upon government, who believe that they are victims, who believe the government has a responsibility to care for them, who believe that they are entitled to health care, to food, to housing, to you-name-it. That that’s an entitlement. And the government should give it to them. And they will vote for this president no matter what…These are people who pay no income tax…. My job is not to worry about those people. I’ll never convince them to take personal responsibility and care for their lives. The utter and complete disdain that Romney has for nearly one half of the electorate is not unique to Mitt Romney. It’s pretty common throughout the right wing of the Republican Party (which is pretty much the controlling interest of the party these days; if there are any moderates or center right Republicans left, they have no power whatsoever). Romney essentially says—to the delight of right wing Republicans everywhere—that as president he won’t be responsible in any way for those Americans who vote for Barack Obama because they are parasites who are utterly dependent on government. They are people who, according to Romney, don’t take any responsibility for themselves and don’t contribute anything valuable to society; they are a drag on the economy and the American way of life. Romney explicitly says that he does not represent the interests of those people. Romney’s statements tell us everything we need to know about what the conservative movement stands for, and in a broader sense, what we can and should expect from Republicans who happen to get elected in November. Mitt Romney and elected officials like North San Diego County’s Darrell Issa represent one part of that; they represent the moneyed interests. They view themselves as a sort of “ruling elite” due to their economic stature, with the right to determine how the future will treat the rest of those who are lesser citizens. They take the view of some of this country’s founding fathers who felt that only property owners should be allowed to vote and determine who this country’s leaders should be. There is also the faction within the Republican caucus who are staunch ideologues; religious zealots who would impose their particular brand of Christianity on the nation as a whole, separation of Church and State be damned to hell for all eternity. There is a third group. This third group represents the moneyed interests, while not actually a part of the economic elite themselves. They are people like Brian Bilbray, the Republican incumbent in San Diego’s newly redrawn 52nd District. Brian Bilbray is a lobbyist; someone hired to do the bidding of the economic elite in order to tilt government policies in their favor. They are elected to office, but rarely—if ever—represent the interests of those who sent them there. From 2001 until he was elected to replace the disgraced Duke Cunningham in 2006, Bilbray was a registered lobbyist representing the interests of entities as the Viejas Band of Kumeyaay Indians, the County of Los Angeles, Sempra Energy (SDG&E), and the Federation for American Immigration Reform (FAIR), a group labeled by the Southern Poverty Law Center as an anti-immigrant hate group. FAIR is the entity largely responsible for the creation of Arizona’s SB 1070 “papers please” law, and is behind the push to spread that particular policy nationwide. The man who wrote the language of the law, the current Secretary of State of Kansas, Kris Kobach, was the head of the legal arm of FAIR. Bilbray promotes FAIR policies as a member of Congress. Bilbray also represented a charity called Conquer Cancer and Alzheimers Now Foundation, an offshoot of Help Hospitalized Vets. CCAN and HHV founder Roger Chapin was brought before Congress in 2008 under allegations of fraud and misuse of charitable funds, and is currently being sued by the California State Attorney General’s office to recover nearly $2.3 million that Chapin is alleged to have siphoned off to other charities—including Conquer Cancer and Alzheimer’s Now—and to himself. It was alleged by the House Oversight and Government Reform Committee that Chapin’s charities spent as little as 25% of what it took in on the actual causes it was supposedly advocating. Bilbray was a member of the House Oversight Committee that investigated Chapin in 2008, but because of his past affiliation with Chapin, according to a KPBS story at the time he offered no opinion on the case and did not question Chapin as a witness. It’s hard to imagine, however, that Bilbray wasn’t aware of the kind of man and organization he was representing at the time. The Hill newspaper reported that in 2005, several members of Congress—including one Republican—complained that Bilbray abused his privileges as a former member of Congress to lobby members in the House chamber, a big no-no. Bilbray denied the charge. 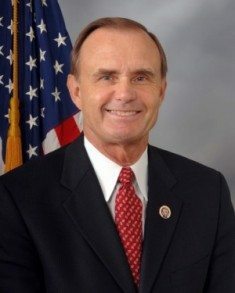 During his first stint in Congress, Bilbray wrote letters on behalf of Metabolife, the nutritional supplement maker whose products were later banned by the FDA for presenting an “unreasonable risk of illness or injury.” Between 1998 and 2000 (when he lost his reelection bid to Susan Davis) Metabolife donated $78,500 to Bilbray’s reelection efforts. Among Bilbray’s past campaign contributors are Sempra Energy, the company he lobbied on behalf of. It’s the same company that gouged San Diego customers in 2001 by taking advantage of the deregulation of the electricity markets and manipulating energy supplies, and thus manipulating the pricing structure. Brian Bilbray’s career in Congress has been largely undistinguished, save for one embarrassing incident where he told MSNBC’s Chris Matthews on national television that you can identify an illegal immigrant by the clothes he wears, “right down to the shoes.” Did I mention that Bilbray earned $328,000 lobbying for the anti-immigrant hate group FAIR? His job representing FAIR clearly did not end with his election to Congress in 2006. Yesterday’s revelations are not singularly relevant to the Romney campaign. They are indicative of the overall approach to governing on the part of Republicans. By and large, it tells us who Republicans believe they are accountable to, and it’s not the voters. Brian Bilbray will tell us he’s gone to Washington with the interests of the people of the 50th/52nd District in mind, but his actions and his policy positions clearly state otherwise. Brian Bilbray represents solely the interests that fund his campaign and fill his bank account. This November election is indeed about choice, and San Diego has a choice. San Diegans must decide whether Republican principles and values—values that place corporate and money interests well above those of the electorate—represent the values of San Diego voters. Correction: This story had previously misidentified the Chapin charity being sued by the California Attorney General as “Help Homeless Vets.” It has been corrected to properly identify it as Help Hospitalized Vets. If there’s any doubt about how Republican operatives operate, one can just consider the Jack Abramoff affair. Abramoff funneled millions to Christian Coalition founder Ralph Reed who spoke to his adherents using voluminous, flowery religious language about the despicable moral qualities of gambling all the while taking millions from an Indian gambling casino whose goal was to prevent other casinos being licensed who would be competitors for gambling money. Reed’s goal was to get his followers to vote against any new Indian casinos in the area of the one Indian casino that was giving him money. Grover Norquist, of tax pledge fame, was also part of this triumvirate. While Reed opined about God and time-honored values, all the while he, Abramoff and Norquist were on the take. For most Republicans their only God is money as Romney’s words amply illustrate.